Everybody were talking about the launching of iPhone 4s in the tweet line yesterday and another shocking story in the front line news today as Steve Jobs, the co-founder of Apple has passed away. Condolences and prayer for him, Jobs leaves behind his wife, 4 childrens, 2 sisters, 49,000 Apple employees and millions of his followers and not forgetting those who are working with his invention. He has been produced something that improves technology not only communication, but music, photography, in short, he made human life easier! 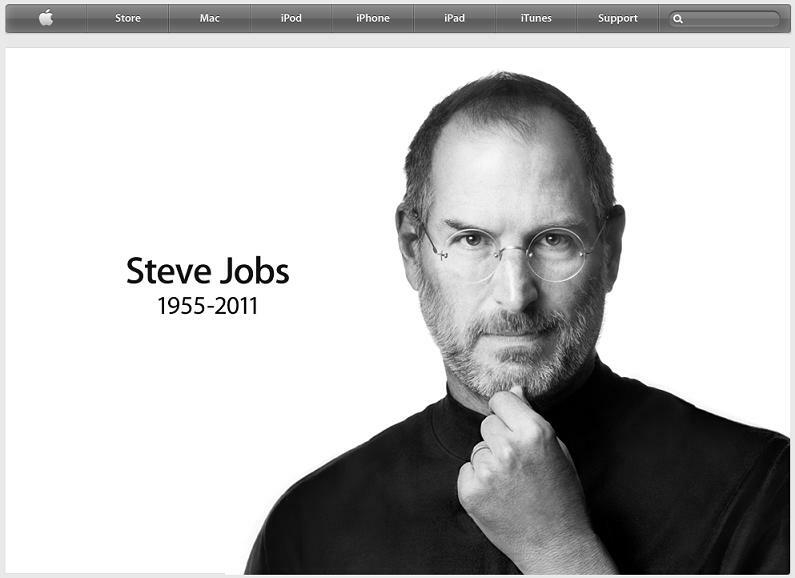 Condolences to the families, and to Jobs, all your guidance, all your creation will remain in our heart forever. Sadly be missed. God bless. 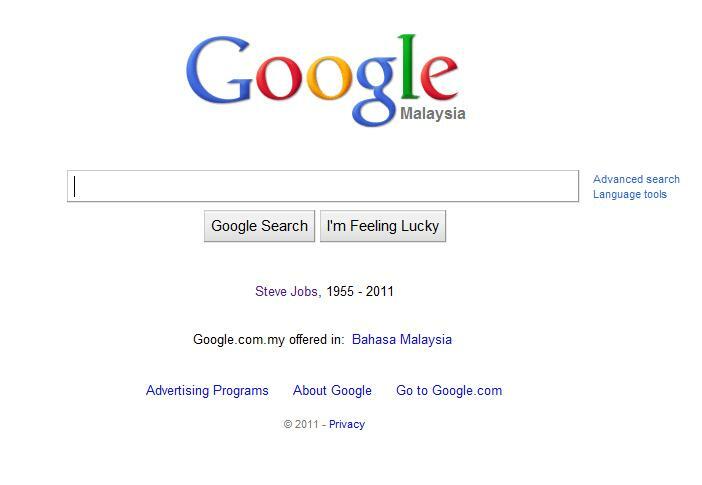 Even Google place his name on the front page today. Dedicate to Steve Jobs, we know you like The Beatles, and in my life, I love you more..